Looking for something special to gift for the wedding totto of your cousin or BFF? Pick up a few salwar suit pieces and dupattas from Deep Red India. Inspired by her mother and grandmother, Dipiksha Roy started her clothing store entitled Deep Red almost 15 years ago. Deep Red offers an exclusive collection of traditional Indian attire for women. Their variety of collections is suited for women across all ages. Each piece of clothing has been carefully designed by me keeping all your requirements in mind. Whether you’re gearing up for a family function or planning to buy an Indian office wear, you can find something for everyone and for every occasion at Kolkata’s favourite fashion store, Deep Red. Their collection features customised handloom products including sarees, kurtis, suit pieces and more created by Bengal’s women weavers. Supporting women empowerment, we have more than 100 women weavers, belonging to different parts of rural Bengal, working to create the beautiful pieces of clothing for you. From kantha to block printing, explore a wide range of designs and styles at Deep Red. 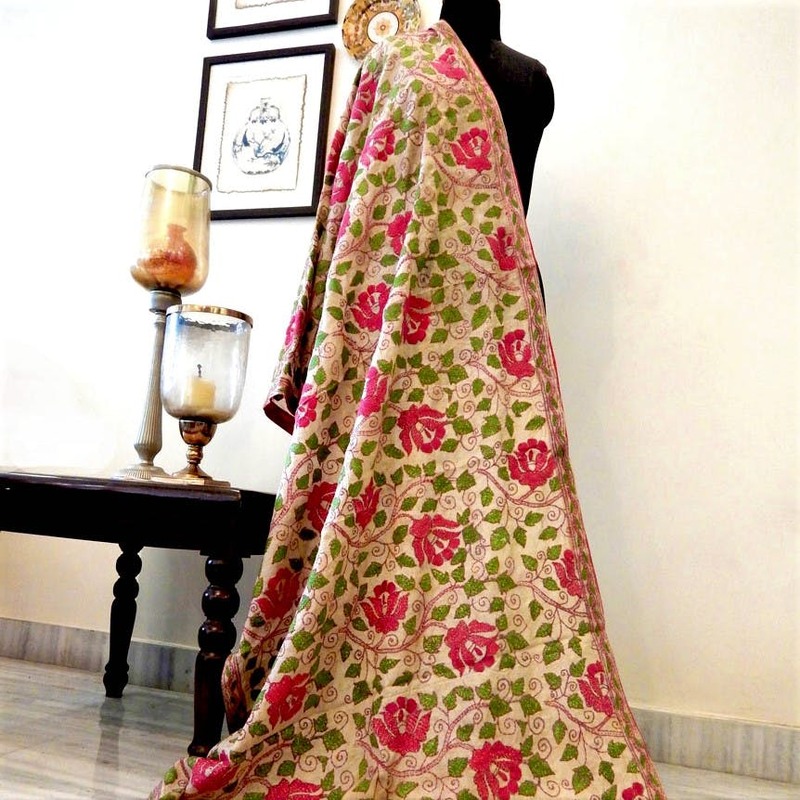 We specialize in cotton block printing, completely hand-stitched kantha works, acid printing on tussar fabric and more. With years of experience and expertise our highly skilled, dedicated weavers ensure superior quality of work. Pick up a blockprinted salwar kameez and dupatta with kantha embroidery or embroidered cotton or tussar dupatta or a saree with kantha embroidery. You can order these online on their website. It takes two to five days for the delivery of the product. Courier charges will be extra to be paid by the buyer. Some more variety would be great, as would display of prices for the items on the site. You can exchange within seven days of purchase along with the invoice and tag on the product.